The TRS-80 Model 4P was a portable version of the Model 4. Both the Model 4 & 4P were 64K "flat" versions of the TRS-80 Model 3 ("flat" meant that a ROM BASIC did not break up the Z-80 processor's 64K address space; all 64K of RAM was available to programs). This meant that the machine could run either TRSDOS or the popular CP/M operating system. The Model 3 could run only TRSDOS. 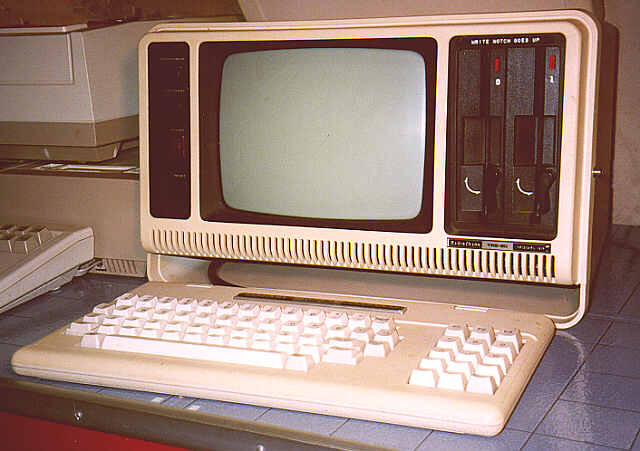 In turn, the Model 3 was a one-piece version of the TRS-80 Model 1. Got all of that?